Benelli owners!!! There is a good news that the Italian premium bike maker has announced a price cut of 34 percent in after sales services. 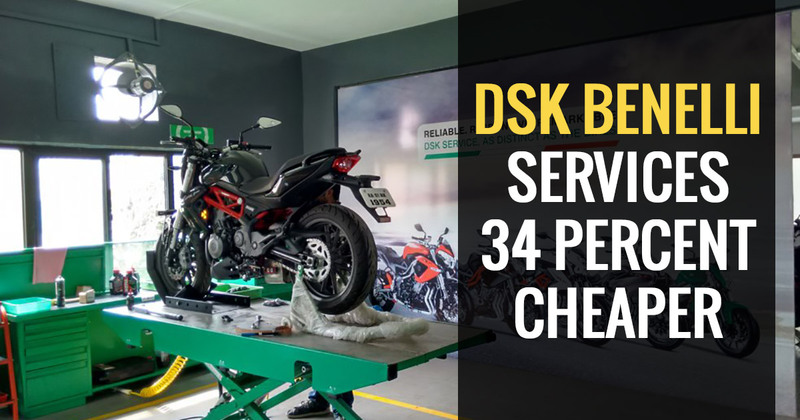 Now the bike maintenance will be more affordable than earlier which was agonizingly painful for Benelli owners. Not only the potential customers but also the existing ones will also be availed with this relief in service costing. Whereas, the Benelli managed to convey this benefit in overall maintenance cost by extending the service intervals from every 4000 kms/4 months to 6000 kms/6 months. Also, the company ensures that the extended periodic service interval will not affect the performance of the bikes. All the existing customers with bikes from Benelli lineup, the TNT 25, TNT 300, 302R, TNT 600i, TNT 600 GT and TNT 899 will get the advantage of drop in service cost and other benefits. Altogether, it makes Benelli hope for increase in sales figures and revenue generation. Other than this, Benelli is looking forward to expanding its trade across India by offering bikes made in India. It can only be attained by setting up a production facility and expanding dealers’ network countrywide. The Indian two-wheeler market is evolving every day. Also, it has great opportunities to increase performance bikes sale in the country.